The government should reconsider its strategy on fighting extremism because it risks making the situation worse, a parliamentary group has said. The Joint Committee on Human Rights said there was currently no useable legal definition of extremism. In a report, it urged ministers to "tread carefully" when trying to define extremism as it risked undermining relations with Muslim communities. A Home Office spokesman said preventing extremism was "vitally important". Good relations with Muslim communities were the government's "most precious asset" in fighting terrorism inspired by so-called Islamic State, the committee said. The group of MPs and peers stressed the need to have a clear distinction between extremism and religious conservatism. Currently the government defines extremism as "the vocal or active opposition to our fundamental values, including democracy, the rule of law, individual liberty and the mutual respect and tolerance of different faiths and beliefs". Committee chairwoman Harriet Harman told BBC Radio 4's Today programme: "The difficulty with that is - again it's the definition - for example, I don't respect religions that regard women as subservient, I don't tolerate the views or beliefs of people who think that homosexuality is a sin, but I'm clearly not an extremist on the path to violence. "To have draconian orders - breach of which is a criminal offence - without being able to describe the problem that you're trying to put these orders against, is a problem." The report added: "It is far from clear that there is an accepted definition of what constitutes extremism, let alone what legal powers there should be, if any, to combat it. "It does not appear that the government so far has been successful in arriving at one." The committee also urged a review of the government's current Prevent counter-extremism strategy, which is designed to stop people from becoming radicalised. Plans for a Counter-Extremism Bill were first announced in 2015 and were included in the Queen's Speech in May, but the committee said the proposals seemed to have stalled or even gone backwards. The report said there was agreement that tackling terrorism was a priority, but not on how to combat extremism. On proposed measures to tackle religious conservatism, the committee said these needed to be balanced with the right to freedom of speech. 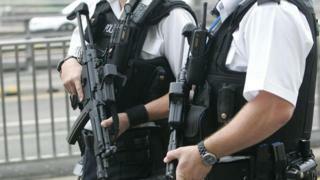 The government, it added, should aim "to tackle extremism that leads to violence". New legislation posed two problems, said the committee - "either it will focus on Muslims, be seen as discriminatory and drive a wedge between communities, or it will operate indiscriminately and could be used against any groups who espouse conservative religious views". The committee also said the government's proposals "rest on the assumption that there is an escalator that starts with religious conservatism and ends with support for violent jihadism, and that violence is therefore best tackled by curtailing or placing restrictions on religious conservatism". "However, it is by no means proven or agreed that religious conservatism, in itself, correlates with support for violent jihadism." Sara Ogilvie, policy officer at civil liberties group Liberty, said the government's "heavy-handed approach risks fanning the flames of division and extremism, not extinguishing them". She said: "The Prevent programme has already trampled young people's right to freedom of speech, curtailed debate and further marginalised those it most needs to reach out to. "This damning report shows our new government must abandon plans for this counter-productive Counter-Extremism Bill and take a rights-respecting, evidence-based approach to tackling this incredibly serious issue." A Home Office spokeswoman said: "Extremism causes terrorism and broader social harms including hate crime, honour-based violence and discrimination. "That is why we published a counter-extremism strategy which confronts all forms of extremist ideology head-on, supports mainstream voices, and builds stronger and more cohesive communities. "This broad counter-extremism agenda is distinct and complementary to our Prevent programme which safeguards those who may be vulnerable to being drawn into terrorism."